Assistant Professor Pomthong Malakul Na Ayudhaya, Ph.D. Professor Dr. Narin Hiransuthikul, M.D. Associate Professor Wisanu Subsompon, Ph.D.
Assistant Professor Chaiyaporn Puprasert, Ph.D. Associate Professor Naebboon Hoonchareon, Ph.D. Associate Professor Yootthana Chuppunnarat, Ph.D. Associate Professor Kris Angkanaporn, Ph.D. Professor Sombat Treeprasertsuk, MD, Ph.D.
Assistant Professor Vorapat Inkarojrit, Ph.D.
Assistant Professor Natchanont Komutputipong, Ph.D. Associate Professor Jittisak Thammapornpilas, Ph.D. 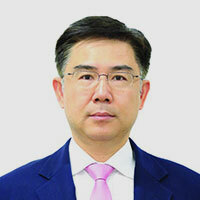 Associate Professor Dr. Sittichai Tudsri, D.D.S., M.D. Associate Professor Santi Chantavilasvong, D.Arch. Associate Professor Pasu Decharin, Ph.D. Associate Professor Kanisak Oraveerakul, DVM, Ph.D. Associate Professor Thumnoon Nhujak, Ph.D. Associate Professor Amorn Petsom, Ph.D. Associate Professor Ajcharaporn Piumsomboon, Ph.D. Associate Professor Mana Sriyudthsak, D.Eng.